It’s safe to say the world has not completely recovered from the shock of the result of the American elections, and will probably not anytime soon. The debates, questions and inquisition into what exactly was responsible for the false predictions from pre-election polls and several quarters regarding who would be the eventual winner of the keenly contested presidential race rage on, as not a few people view the prospects of a Trump presidency as a disaster because of the reputation of the man himself. And it’s baffling, really. How does one fathom that a huge number of voters actually chose to elect a man who has a reputation for being brash, rude, and impulsive. And what’s more – one who has done little to hide the fact that he is a racist, a tax evader, an women molester. The video recording showing Donald Trump making lewd remarks about women was supposed to be the last nail on the coffin for a man who was already in the bad books of the public; or so we thought. Besides, he was a newcomer to the political game unlike his Democratic nominee rival who can be regarded as a political veteran. But as we were to see when the results started trickling in, none of those factors mattered at the end of the day especially in the swing states. 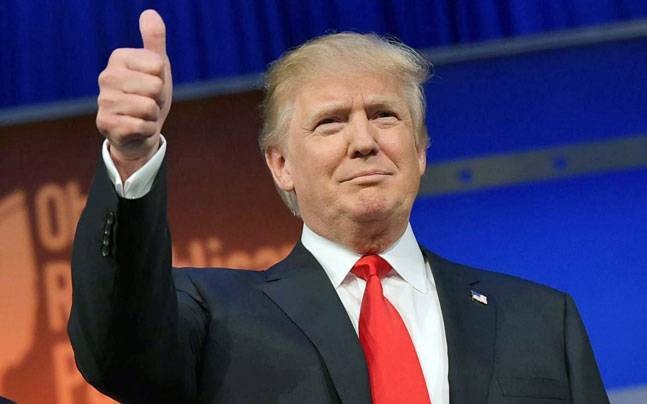 Many years and even decades down the line, political pundits and analysts would probably still be trying to wrap their heads around the phenomenon called Trump, and how he managed to pull a rabbit out of a hat against all odds to attain the highest office in the land. Beyond Trump and his mind boggling historic win at the American polls, there have been many surprises in the year 2016. For instance, not many guessed that Britain would vote to leave Europe, but it happened! Football commentators and pundits had to eat their words about hitherto lowly rated Premier League club, Leicester City not being capable of winning the English Premier League last season. Before the very eyes of naysayers, the Foxes out-foxed every other club to take home the coveted league trophy for the 2015/2016 football season. Perhaps the unexpected outcome of Brexit, and Leicester’s feat were pointers to the unpredictable year that 2016 was going to go down as; a factor many of us failed to take into consideration when predicting the winner of the US presidential elections. It’s important that the lessons to be learnt from Trump’s electoral victory are not lost on us. If in spite of all the bad press that deservedly trailed him during the build up to election day, a 70 year-old business man was undaunted about his goal of becoming president of the United States, then it goes without saying that persistence pays. Just when we start to ignorantly or arrogantly believe that we can make projections with a high degree of exactitude based on past occurrences, some force within the cosmos shoves our limitations in our face. No matter how intelligent we think we are, or how long we have been experts in a certain field, situations that will confound even the most brilliant of us will spring up from time to time. The CNN presenters and political experts who had all but given Hillary Clinton the keys to the White House were left red in the face when their projections and predictions failed in the most embarrassing manner. The discourse has now evolved to the quest to find out how Donald Trump did it, with different theories to the success of the loquacious president-elect. A section of theorists have ascribed his victory to the desire of Americans to “get their country back.” To them, the average White American never really liked Blacks or Hispanics, and only tolerates them in order not to be seen as racist. Some are believed to find Mr Trump’s bluntness refreshing in a time when it’s popular to be politically correct. They keep wondering why they can’t for instance declare their dislike for gay people or have to force themselves to embrace illegal immigrants when they are clearly on the wrong side of the law. To these people, a Trump presidency means they can come out of their closet of pretence without any fear of judgement from an hypocritical society. Trump may have won the election for several reasons or a combination of reasons. I certainly believe, Hillary Clinton’s email controversy and travail in the hands of the FBI was a huge factor in the eventual outcome of the polls. Nevertheless, the crux of this piece is that impossibility is an overrated idea; maybe outdated even. As the world evolves each day, ordinary people have demonstrated what sheer relentlessness and “crazy” belief in self and one’s abilities are capable of achieving. In just a little over a year since declaring his intention to run for president, Trump has achieved the seemingly impossible by comfortably beating the one who has decades of political experience in an election. When we follow happenings in the world either through our TV sets, the newspapers, the internet, or on radio, we should observe developments not just as spectators or for the sake of head knowledge; but for the purpose of learning and adopting the positive side of things. This amazing Trump victory has proven to me once again that anything is possible in the world today. Impossibility is a figment of the imagination. Impossible is nothing. The problem is people don’t read between the lines to see possibilities in impossible situations. If they did, scenarios like the US election result and Leicester’s EPL title win shouldn’t have been a surprise. I like the way you end it, Impossible is nothing, just like Adidas says it. Well, more and more we are beginning to see that the world has turned on its head, and the hitherto impossible things are now possible. Thanks Kunle.